Are you a film fanatic who can’t imagine a movie session without a bowl of hot steaming popcorn? Or maybe you simply like to experiment with staple foods, adding new flavours to the already existing recipes? 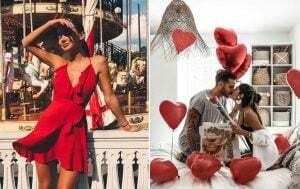 Either way, you will love this collection of popcorn recipes that range from incredibly healthy sesame popcorn to mouth-watering caramel-coconut and peanut butter-and-jelly. 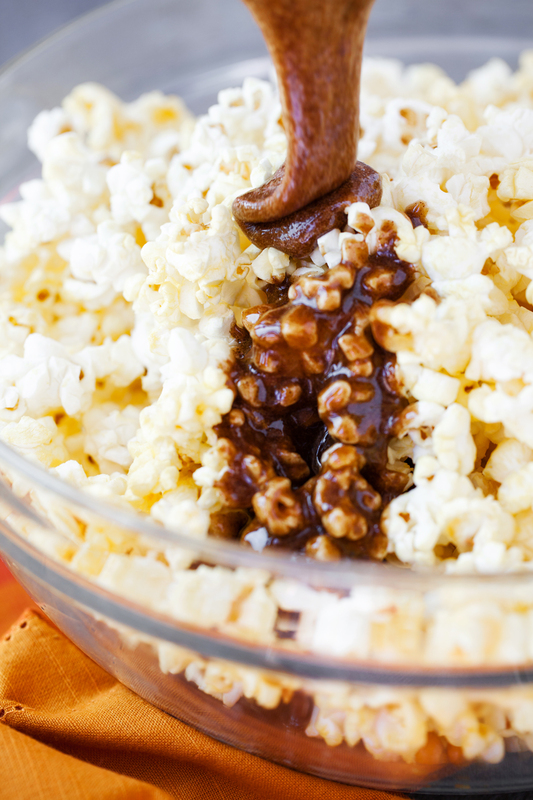 Caramel and pumpkin taste good not only in latte – they are delicious in popcorn too! 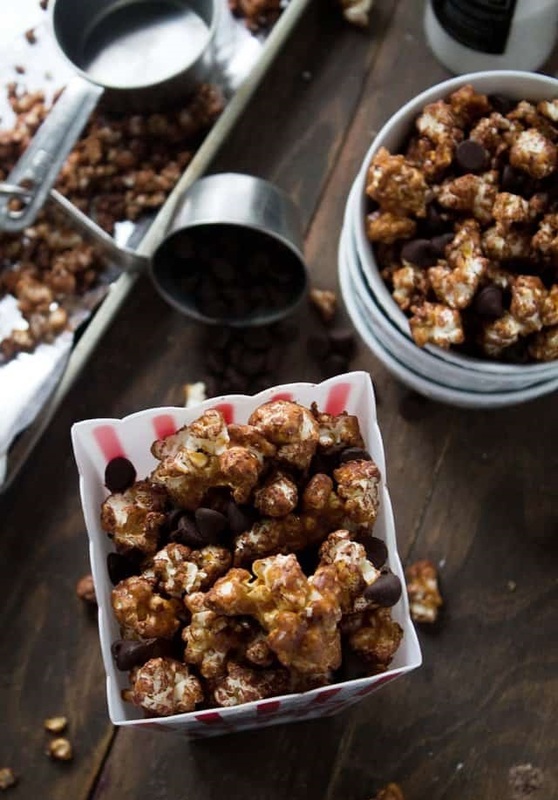 If you’re craving some fall flavours or simply love pumpkin, this popcorn might very well become your all-time favourite. Is there anything better than a bowl of salted caramel popcorn? The answer is – yes, there certainly is! You just need to add some chocolate and voila. 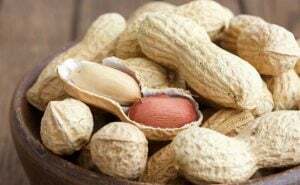 You get the crunchy, salty, and sweet yumminess that is simply addicting. 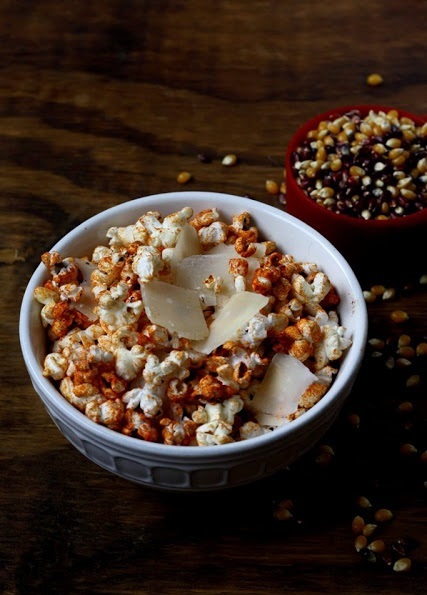 Sweet popcorn is incredibly tasty, but how about a healthy salty popcorn recipe that combines peppers with delicious parmesan? 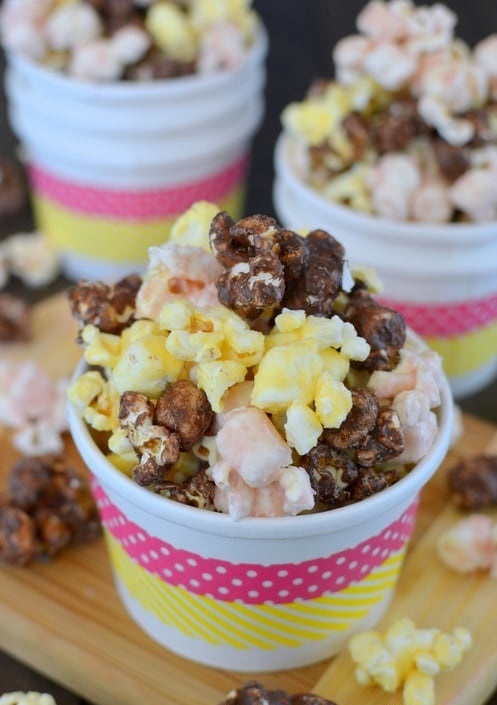 We bet you’ve never tried popcorn tasting like this! 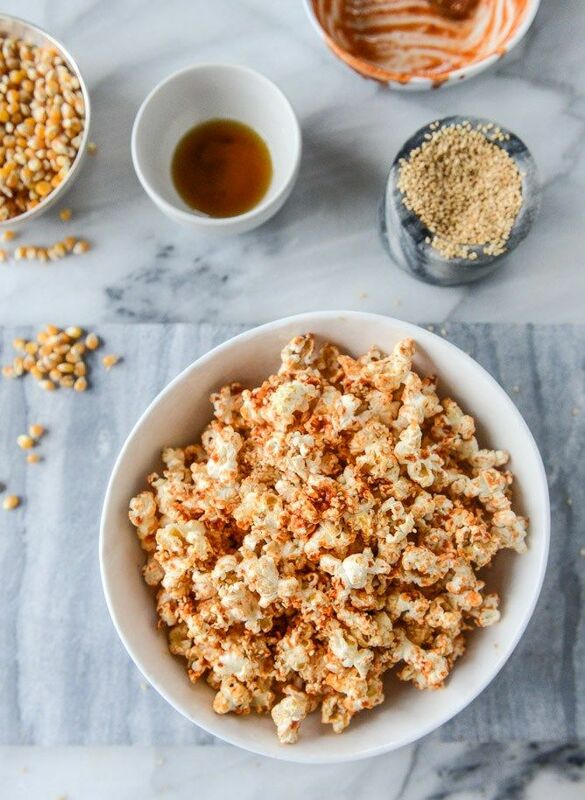 This homemade popcorn recipe uses the healthiest ingredients to create delicious dessert-like popcorn you’ll want to enjoy as much as possible. 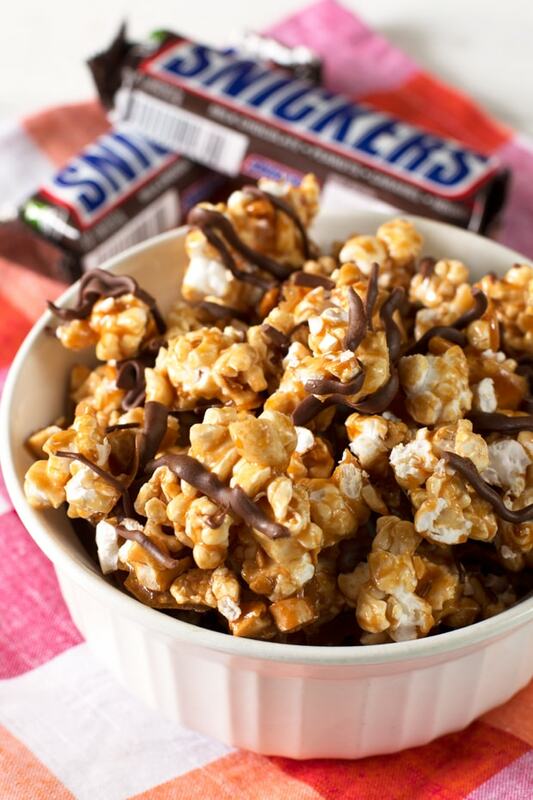 You can add a few chopped Snickers bars for a boost of flavour, but what makes this recipe truly unforgettable is the homemade caramel paired with peanuts. If you aren’t too good with baking pies and don’t even have apples right now, don’t worry because this apple pie treat will give you the taste you’re craving so much. 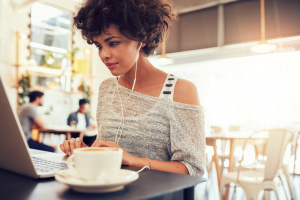 You’ll need cinnamon, vanilla, and a bit of stevia to avoid adding sugar. It’s just yum! 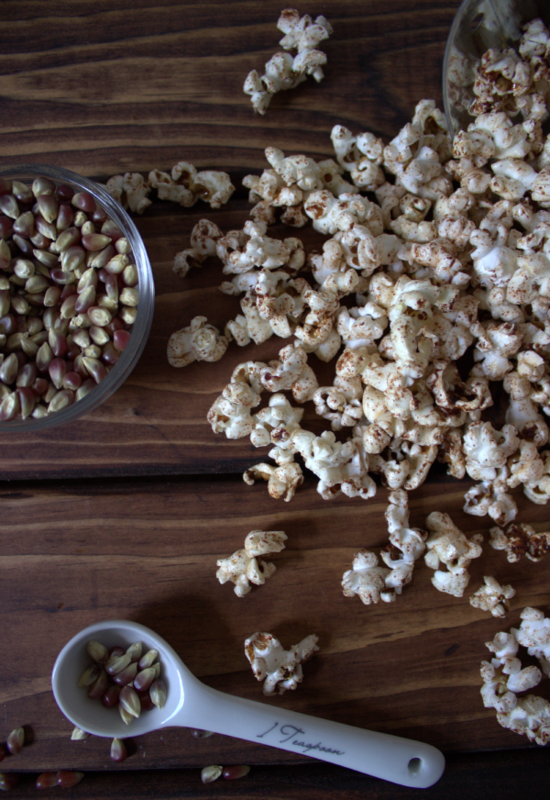 Popcorn is naturally low on calories so you don’t have to worry about adding some sweet flavourful ingredients. Yet this is not the case with sesame popcorn! It’s a healthy recipe no matter how you look at it. You’ll just need some sesame seeds and a few drops of sesame oil. Nothing can quite compare to the staple Banana Split dessert that tastes so well with ice cream, but this recipe definitely comes close to perfection! It tastes just like the famous dessert, but packs twice as fewer calories. Peanut butter and jelly sandwiches are among the most traditional snacks ever invented. The more reason to replicate our favourite taste and have it in a different way – with popcorn! This recipe is elegant and you might want to stick to popcorn instead of bread if you’re on a diet. 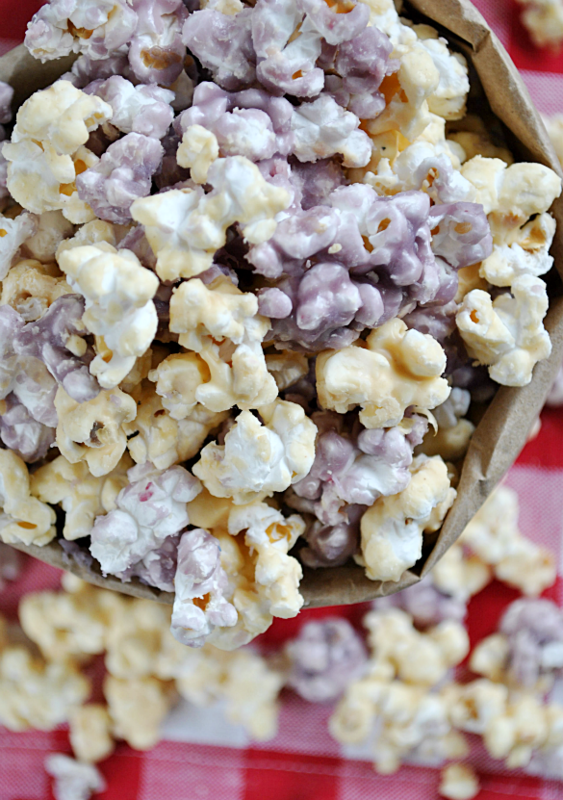 You might think popcorn is not the best food to experiment with and that’s where you’re wrong! 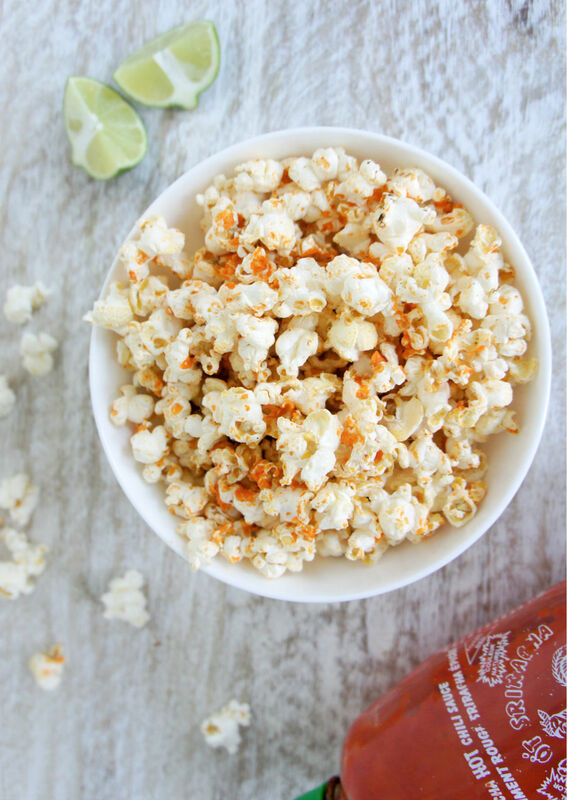 This Sriracha and lime popcorn tastes like something that came straight out of a posh restaurant. Add some cilantro and grated Parmesan cheese for a boost of flavor.